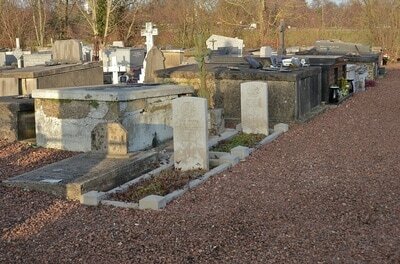 Wizernes is a village and commune in the valley of the Aa, five kilometres south-west of St. Omer. 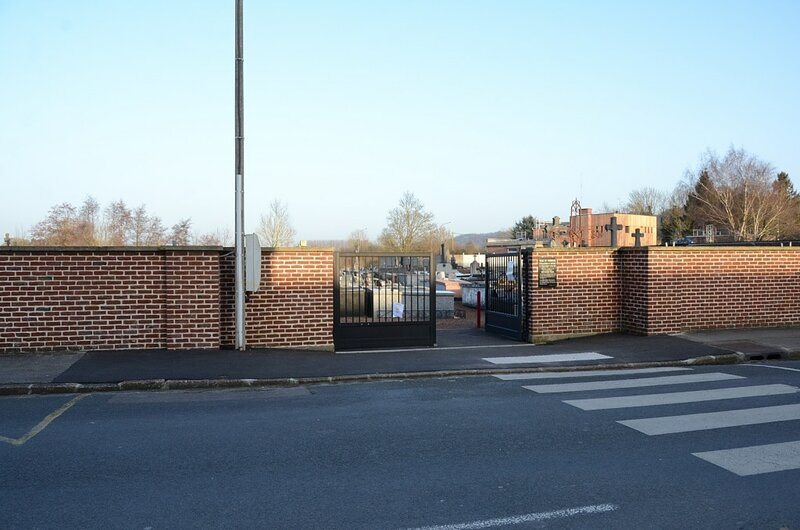 Wizernes Communal Cemetery contains three Commonwealth burials of the First World War. 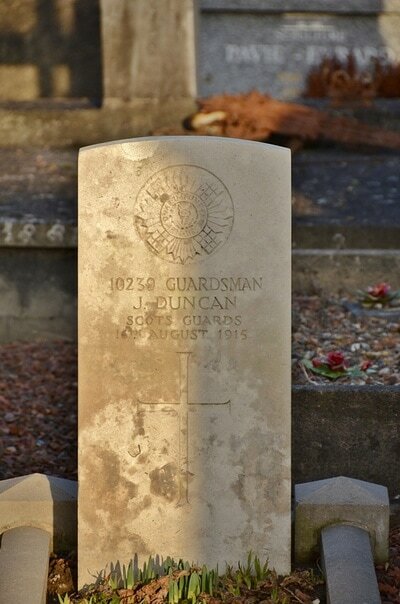 10239 Private J. Duncan, 2nd Bn. 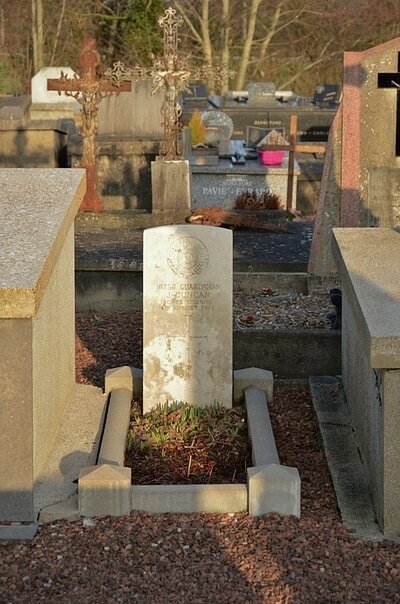 Scots Guards, who died 16th August 1915. 20770 Private A. G. Jenkins, 15th Bn. 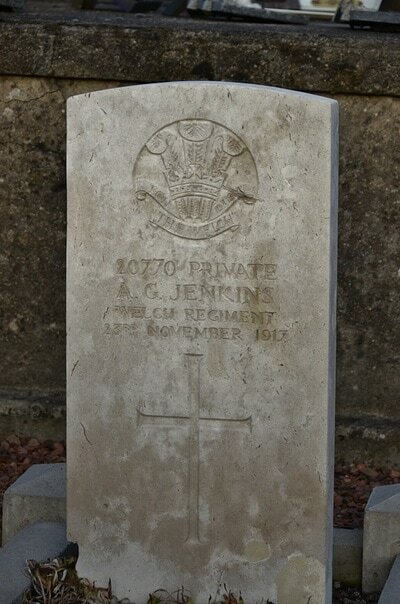 Welsh Regiment, who died 23rd November 1917. 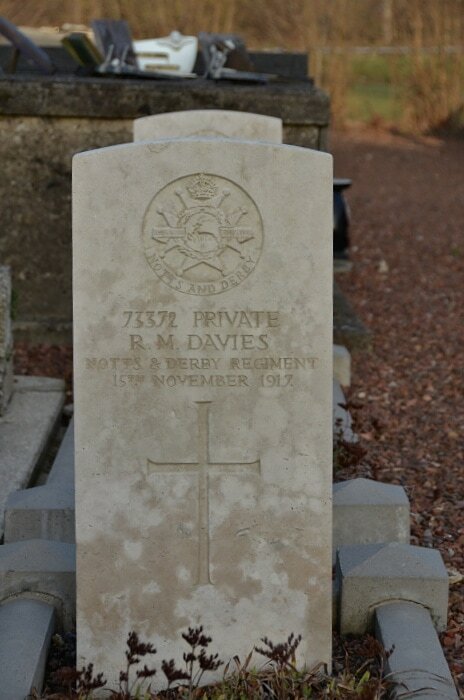 73372 Private Richard M. Davies, 11th Bn. Sherwood Foresters (notts and Derby Regiment), executed for desertion 15th November 1917.